HK VP9 ate them no problem. They have a little more hot sauce than the 115 but very managable. 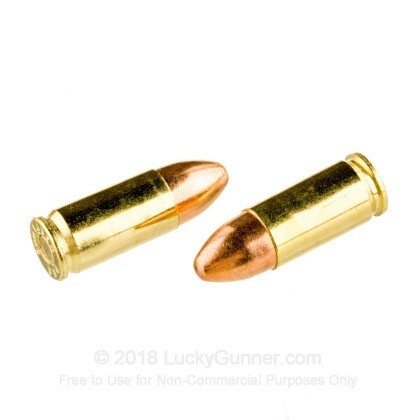 I've never had a problem with these bullets jamming, a solid practice round. But Magtechs tend to leave more grime inside your pistol than other brands. 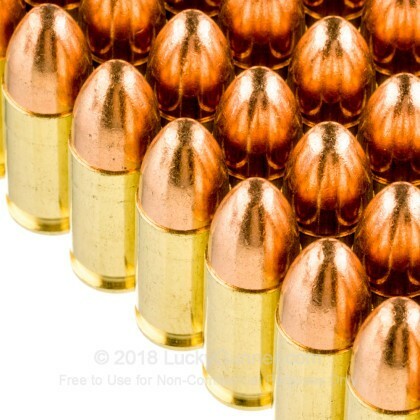 Purchased 9mm ammunition, quality ammunition.... convenient shopping.... Rapid delivery.... will buy again! 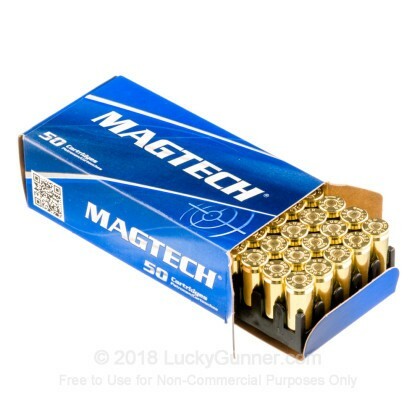 This was my first purchase from LuckyGunner,also first ammo purchase over the internet. To be honest I wasn't quite sure what to expect. Any worries I had were unfounded. LuckyGunner's service was excellent. Shipping was fast and if they say they have the ammo you can count on it being in stock.Ammo was factory fresh. 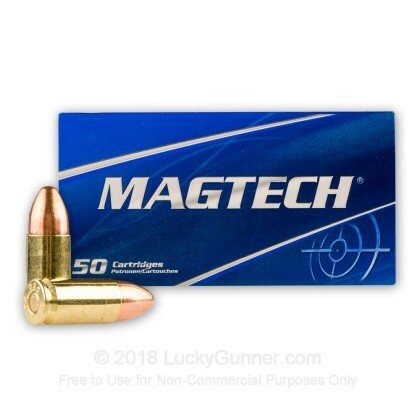 I really liked the Magtech 124gr ammo. 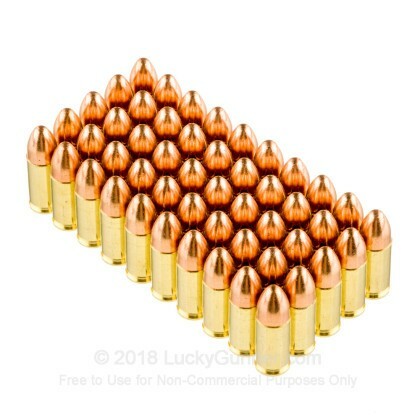 Excellent load for target shooting. Zero problems in my Sig P-210. I look forward to a long relationship with LuckyGunner. You get the feeling they really do appreciate your business. 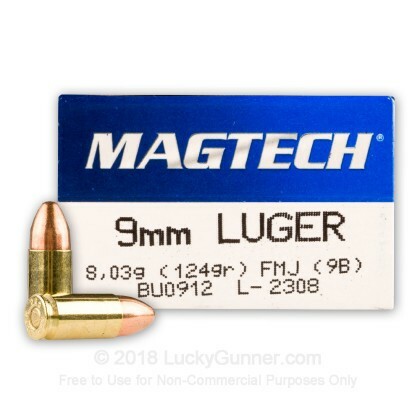 We also have this 9mm - 124 Grain FMJ - Magtech - 1000 Rounds ammo in stock in a bigger quantity.